Jumpform construction is an economical construction choice as the form can be set-up and ready to make the first pour of concrete within a week. Due to an incremental schedule rather than the continuous schedule, costs are reduced approximately 20% over Slipform construction. Concrete storage silos from 10' to 65' in diameter can be built using this technique. The Jumpform silo framework is reusable and takes just a few days to set up after delivery to the job site. 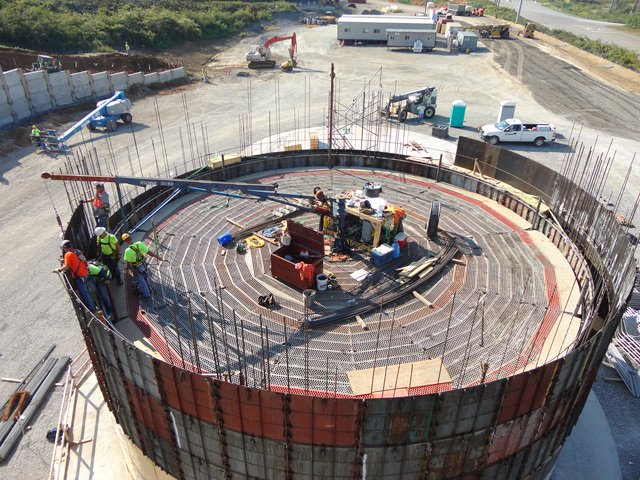 Once set-up, the form provides a safe, circular deck used to access and erect the concrete silo from the interior, allowing a smaller job site. When construction is finished, the form is quickly removed from the job site. Since Jumpform silos are poured in a slow controlled process it allows additional time to complete a thorough quality control inspection of the form, steel reinforcements and embedments before concrete is poured. This process makes Jumpform silos one of the most impervious silos that we build in our industry. Marietta Silos’ standard horizontal construction joint detail creates a leak-proof joint system. 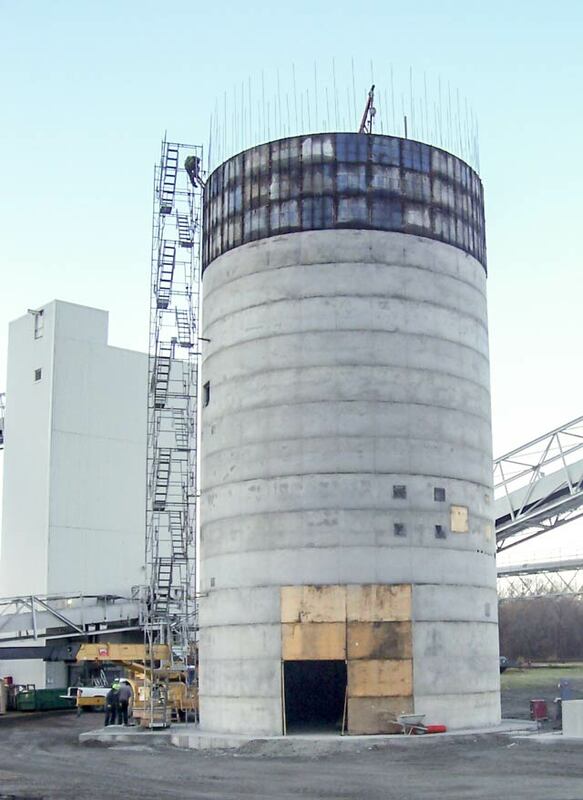 Jumpform construction is the best choice for concrete storage silos less than 65’ in diameter. Marietta Silos is the only Jumpform manufacturer in the country that complies with OSHA 125' scaffolding requirements.